Every Spring is the same, in northwest Seoul. Smoggy. So… every Spring I become grumpy and "under the weather" – almost literally. I like how these robots ski. It’s the best event from these Olympics at Pyeongchang, so far. as they live – with kimchi and alcohol. was apropos – but felt indulgent too. On September 1, 2007, I arrived in South Korea for my first teaching gig. I didn't blog about my arrival until a few days later – I still hadn't adopted the one-blog-post-per-day habit. I believe that the latter experience has fundamentally changed my personality. Perhaps not even for the worse – but I seem to have a much less adventurous spirit, now. I rarely fantasize about travel, anymore, whereas that was a near constant in earlier versions of myself. That, of course, is on my mind, since I'm going to be traveling, starting tomorrow, for only the second time since the cancer thing. 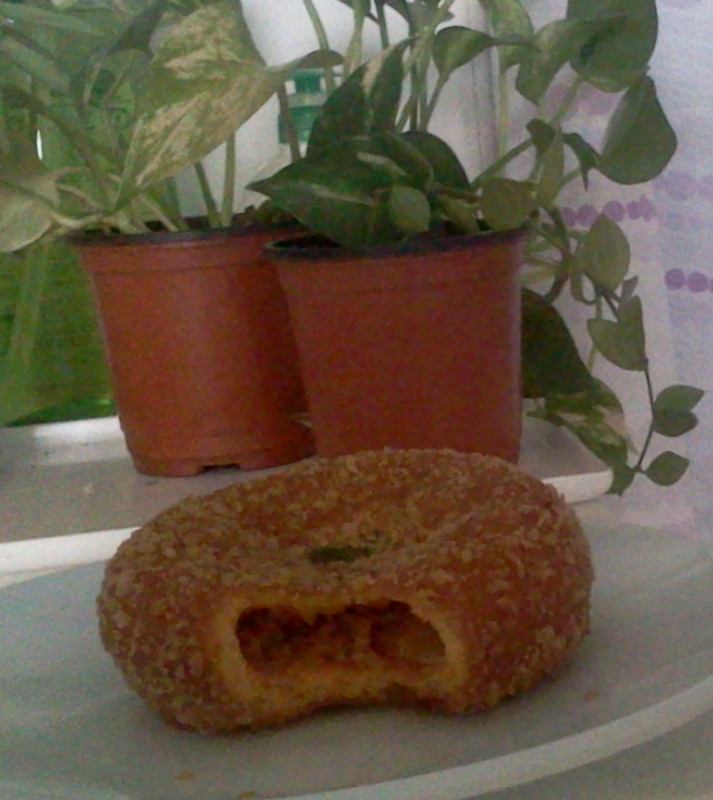 I still don't have any clear feeling that this Korean life is permanent. There are strong reasons why it might not be – there's some precariousness to it. Nevertheless, on a day-to-day basis, I operate on a fundamental assumption that this Korean life has, indeed, become my permanent lifestyle. It's convenient to think that way, even if it's not really true. It's comfortable. Moon's victory map seems to parallel the 900AD "Late 3 Kingdoms Era" (후삼국시대 [husamguk sidae]) in Korea. Look at the two maps: the conservative "rump" in the southeast is later Silla, long past its glory days, while new Baekjae and the ascendant Goryeo dominate the peninsula – see the maps along the right. 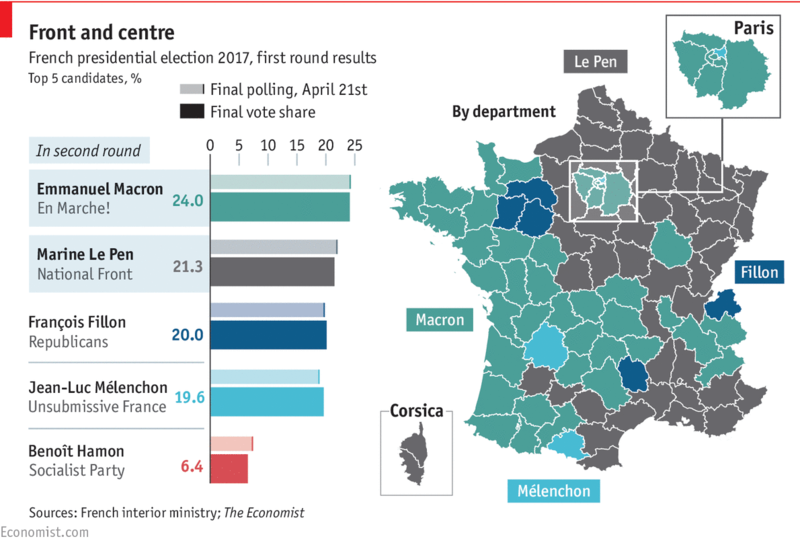 I was thinking about this "ghosts in the map" idea because I also ran across someone who mentioned that Macron's support in the recent French presidential election eerily paralleled the Plantagenet lands (i.e. English control) in 12th century France – see the maps below. 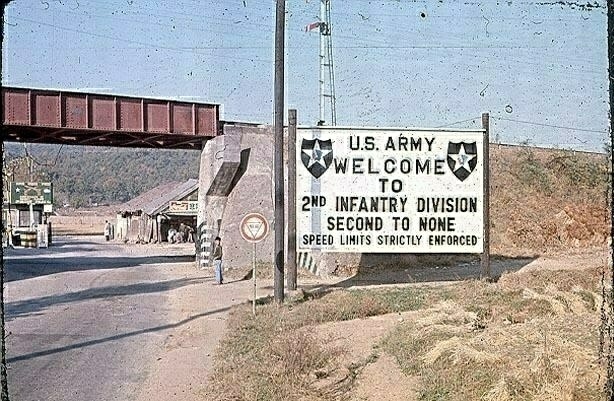 I was in the US Army, stationed at Camp Edwards, Paju (Geomchon), South Korea, in 1990. I hated my sergeant – he was corrupt, which distorted my chain of command. I was obligated to ride as a "US military presence" with a group of Korean civilians whose job it was to go onto US bases all over Gyeonggi Province and collect boxes for shipment of personal effects of US service personnel, via civilian courier, back to the US (or to other US military bases around the world). I think basically I was with them to provide a kind of "peace of mind" to the US military personnel who were entrusting their possessions to the Korean civilians. I accompanied an ROK NCO who was functioning as a "Customs liaison" – his job was to make sure no US soldiers were shipping contraband. My job was just to tag along so that the military presence was "bi-national," as far as I could tell. I had no actual duty whatsoever, although at the start of the duty I'd been forced to memorize a set of Korean customs regulations as applied to US service personnel. The ROK soldier, who was a different person on different days, was really the only person who had any English competency at all. The Korean "ajeossis" who packed the boxes and drove the truck had only a few limited phrases. They were exceedingly kind and friendly toward me, however, and during my 3 months of special duty, I became a part of their "team," in a way that never occurred with the ROK soldiers. I was their pet American. I spent between 6 and 8 hours a day with this team, 4 days a week. I loved riding around the Korean countryside with them, from US base to US base, from Panmunjom (several times) all the way down to Osan. I got to visit every single active US military installation in the region, while spending most of my time in transit between, stopping at bunshik joints at the side of the highway and eating excessively spicy ramen with slices American cheese floating on top – a favorite of these men. I learned some of my first phrases of Korean. All these years later, they are still the few phrases that come most naturally to me. I couldn't resist trying one. Actually, it wasn't that unpleasant – sufficiently moist and squishy, when heated up, that it was not difficult to eat for my jangae mouth. And the kimchi added a nice bite to what would otherwise just be a greasy blandness. Today begins the most important holiday of the year, the Korean thanksgiving ("추석"). It's always "8-15" on the old, lunar calendar, but it floats around the September/October timeframe on the Gregorian – every year is different. Korea voted for parliamentary representatives yesterday (this is called 총선, "general election"). The atmosphere as I walked to work was quite strange – a "real" holiday. The schools were closed and workers are given time off (half days or complete off days depending on their work type and schedule, but the hagwon business, such as where I work, is exempt from this and so we worked as normal). There were lots of senior citizens going in and out of polling places, and parents were out in playgrounds playing with their kids. It was nice, and the feeling was vaguely festive. My friend Peter has been blogging in a very detailed and interesting manner about election-related issues. I have enjoyed reading his thoughts. I haven't, myself, been following these elections as closely as in the past – I have been feeling a kind of bitter resignation about the phenomenal lock on power held by the conservatives in Korea, and this election appeared to be only a further entrenchment of this "neo-Parkism," embodied by the presidency of the dictator's daughter, with a fragmented opposition that seemed destined to do badly. In fact, the opposition didn't do so badly, on preliminary results – I have been looking at Naver News' summary coverage (in Korean). 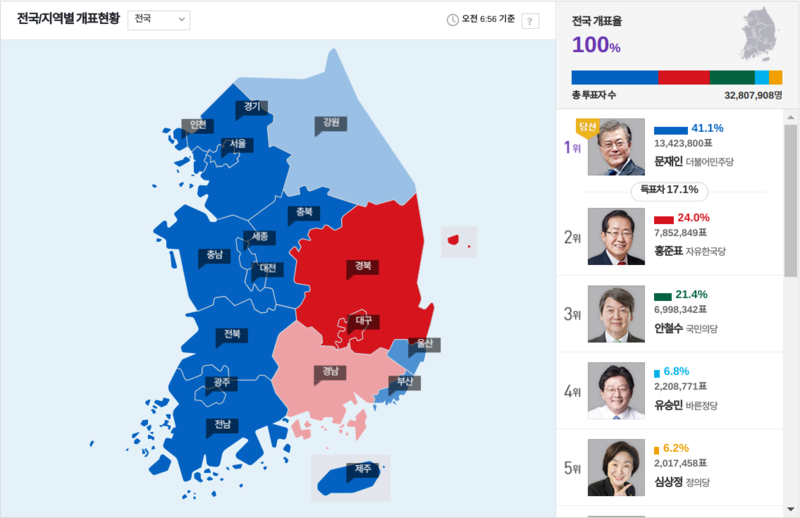 The president's 새누리당 (Saenuri Party) lost its parliamentary majority, Ahn Cheol-soo's new third party, 국민의당 (People's Party) did remarkably well, and even the 더문주당 (Minjoo Party) surprised at least me by turning Gyeonggi blue on the electoral map, despite losing their main stronghold in the southwest to the upstarts. Turnout was higher than in the last several elections. I was thinking about this recently, having watched on the TV a fairly in-depth report on a New City being built down near Gwangju, the other Korean metropolitan area that I have called home. The report first caught my attention because the name of the city is 빛가람 [bitgaram], which struck me as a weird name for a New City – it means "Bright Monastery" or "Bright Cathedral" and so what struck me as odd was the apparent religious aspect of the name. I suppose it could be seen as a "Cathedral of Capitalism." It is being called "혁신도시" [hyeoksindosi = "Innovation New City"] – the term "innovation" in the name seems to be… an innovation. What are they trying to build? Gwangju has a history of trying to reinvent itself as a high tech city, from its old character as agricultural center and "car town" (it is the original home to KIA motors in that company's pre-Hyundai merger days, as well as home to the Kumho chaebol, maker of car parts and tires and buses). 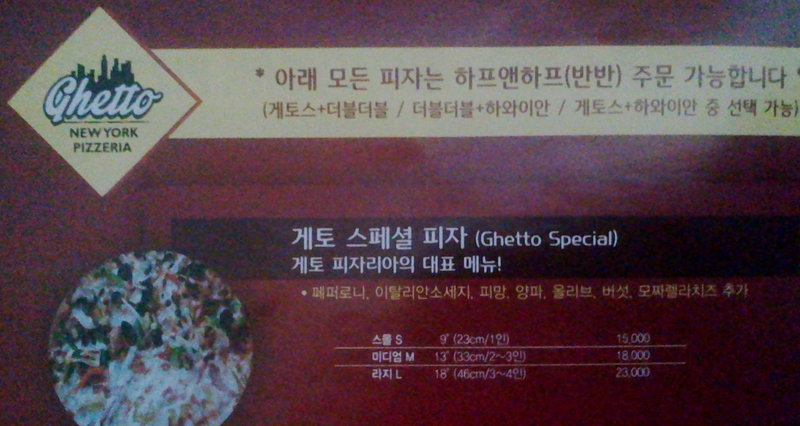 I have described it as Korea's Detroit. I'm not sure how accurate that is, but I think there is a reputational aspect that matches up, too. 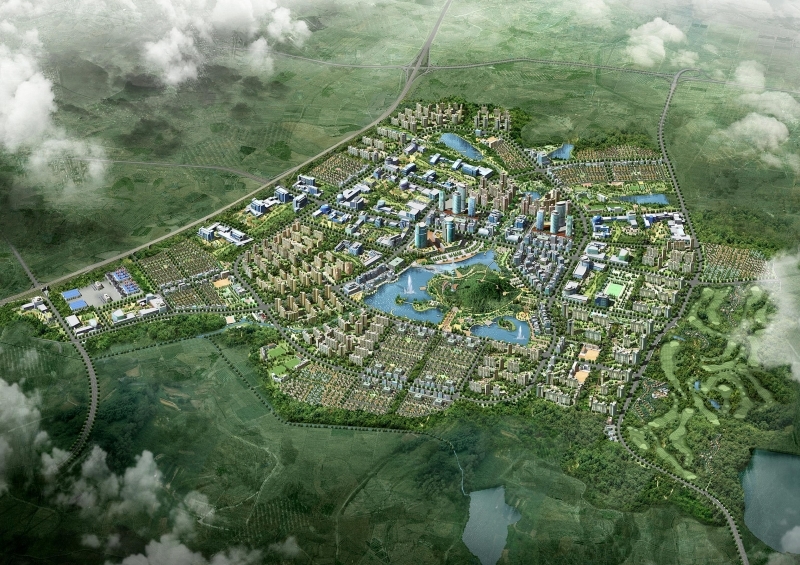 My real question is, will this New City if Bitgaram be successful, like Ilsan, or less successful, like e.g. Ilsan's western neighbor, Unjeong? 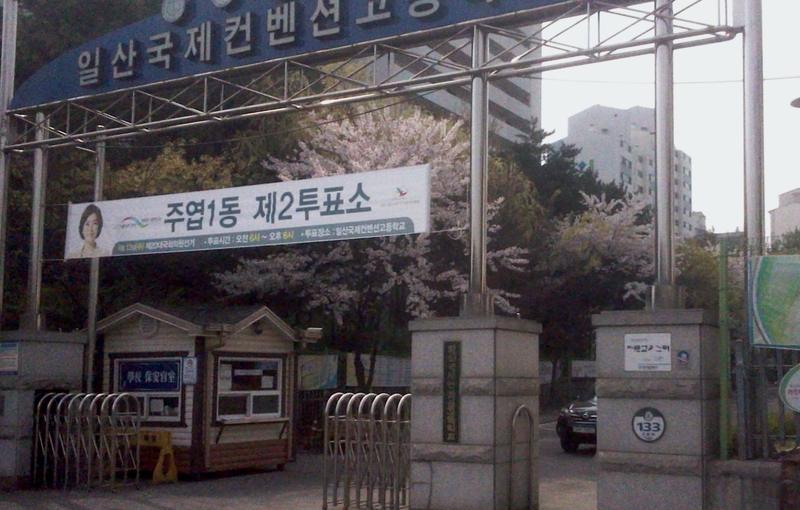 I have been to Unjeong many times, and even have had coworkers and students who live there. But despite the ambitions attached to it, it has so far never evolved into anything more than a bedroom suburb, unlike Ilsan. It's a bit younger than Ilsan, but that doesn't explain its failure to develop its own city character – Ilsan had its own city character well-established even 15 years ago, which is Unjeong's age now. Unjeongians always commute to Ilsan for their city-type activities. I wonder why. Here is an image of Bitgaram, fished off the internet. It is a "rendering" – not an actual view – the city is still under construction. The bad news is I had to pay a fine of $300 (₩300,000) to the immigration authorities, because I violated a rule that said I had to report a change-of-address within 14 days. In fact, it was 1 year and 14 days since my move. Heh. I sort of knew about this rule, in the abstract, but in the mess of having cancer last year, and the move (while Andrew and Hollye were here, who helped me move), and everything else… I just forgot about it, and Curt never thought about it… and so we never reported the address change. They originally wanted to charge a fine of $500 (and in fact they had legal discretion to fine me up to $1000 and/or deport me, according to some websites on Korean immigration rules). Curt, however, was with me, and he decided to argue with the immigration officer for 40 minutes (continuously, in his best school-teacher, Korean-Confucian-pedantic style), and this (maybe) got us the reduction of $200. Curt was very pleased with the result, and I have to admit that if I had been alone, I'd have simply paid the $500 without even trying to negotiate. This is a Korean vs US character thing, in part. In Korea, officers giving fines and fees seem to have a lot of discretion (this is a carry-over from the days when it was outright corruption – I don't actually think there is that much corruption now, but this capacity to negotiate the terms of minor legal infractions still seems universal in the culture). Curt said, "Wow, 200,000 won for only 40 minutes work. It sure was tiring, though." Indeed, he'd worked up a sweat in the air-conditioned office with his passionate debating. One thing he conveyed to me, later, that I hadn't captured in overhearing the Korean, was that the immigration officer had said at one point, to Curt, "Why are you arguing this? – it's the foreigner who has to pay the fine." Curt subsequently harangued the officer about the idea that that was the kind of "pass-the-buck" attitude that caused so many social problems in Korea, and further, it was a little bit "anti-foreigner" (i.e. racist).